Kai Hansen formed Helloween in 1984, playing guitar and singing on the speed metal band's first four albums. 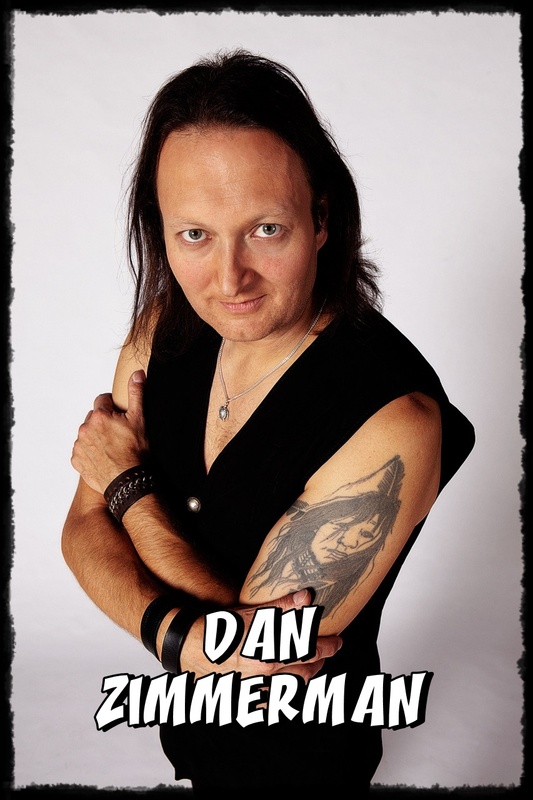 He left in early 1989, however, and founded Gamma Ray with vocalist Ralf Scheepers (formerly with Tyran Pace). 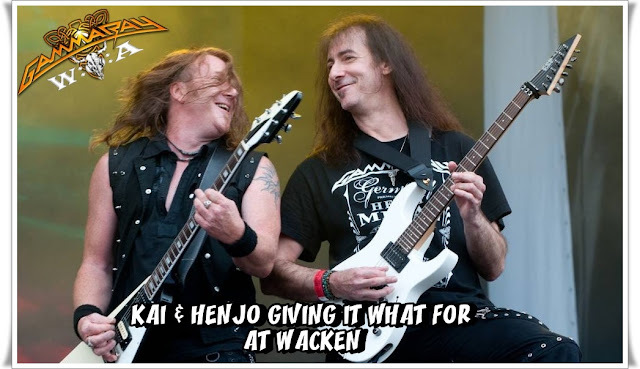 The duo intended to record a one-off project that Hansen originated while in Helloween, so they recruited bassist Uwe Wessel, drummer Matthias Burchardt, and several other musicians. The album, Heading for Tomorrow, was released in 1990 and proved a hit with fans and critics, so much so that Hansen, Scheepers, and Wessel decided to tour the album with added members Dirk Schlacter (guitar) and Uli Kusch (drums). During the tour the Heaven Can Wait EP was released. By 1991, Gamma Ray produced another album of new material, entitled Sigh No More. 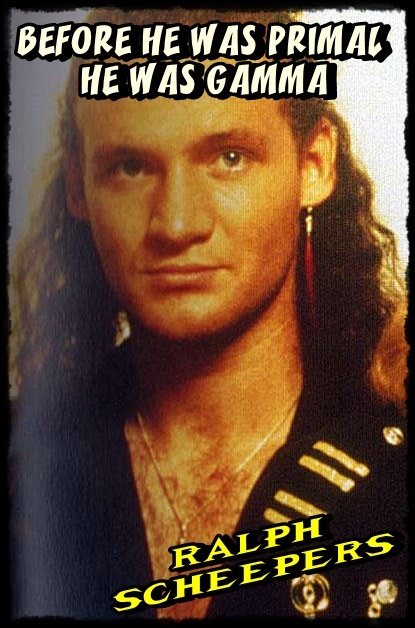 Following 1993's Insanity & Genius, vocalist Scheepers departed to try out for Judas Priest; he didn't get the gig, but opted to form a new band called Primal Fear rather than return to the fold, leaving Hansen to take over vocal duties on 1995's Land of the Free. Further recordings with Hansen as lead vocalist followed, including 1997's Somewhere Out in Space, 1998's Valley of the Kings, and 1999's Power Plant. Blast from the Past was released in 2000. Gamma Ray returned to a raging New Wave of British Heavy Metal style for 2001's No World Order, and followed that album with the live set Skeleton in the Closet. 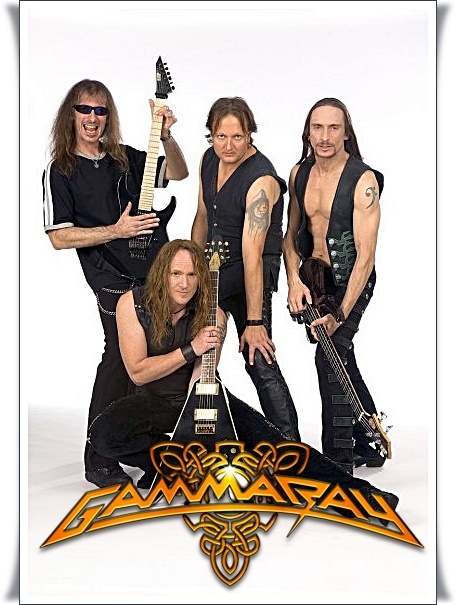 Gamma Ray returned in 2005 with Majestic, the release of which was accompanied by a world tour. 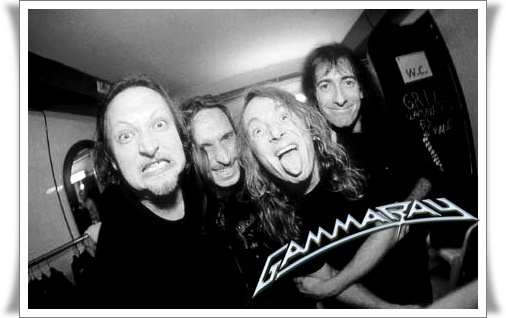 In 2007, Gamma Ray released Land of the Free II (the sequel to 1995's Land of the Free), and went on tour with Helloween to promote the album. Three years later, the band released its tenth full-length album, To the Metal! In 2012, drummer Daniel Zimmermann left the group after 15 years. He was replaced by Michael Ehre. The band released their eleventh studio album, Empire of the Undead, which took the band's sound in a more thrash-oriented direction, in the spring 2014. In 1988, after four years with the German power metal band Helloween, guitarist and songwriter Kai Hansen decided, for reasons that are still the subject of much debate, to leave the group. Hansen claimed that Helloween had become too big for him to handle, although the group's troubles with financial issues and their record company, Noise Records, most likely played a part as well. He proceeded to do some studio work with German power metal band Blind Guardian and in 1989 decided to form his own project with long-time friend Ralf Scheepers, former vocalist of the band Tyran Pace. This two-man project grew into a four-man band with the addition of Uwe Wessel on bass and Mathias Burchardt on drums. This was the first line-up of Gamma Ray, bearing a sound understandably close to that of Helloween of that period.....The original line-up released the album Heading for Tomorrow in February 1990 and later that year the Heaven Can Wait EP, with new guitarist Dirk Schlächter and new drummer Uli Kusch. In February 1991, the band began rehearsing for the recording of their second album in a small, remote house in Denmark. With some brand new songs written, Gamma Ray entered the studio under the supervision of producer Tommy Newton and recorded their second album Sigh No More, which was released in September 1991. The style differed vastly from that of Heading for Tomorrow, featuring darker lyrics inspired by the Persian Gulf War that was raging at the time. A 50-date worldwide tour followed. 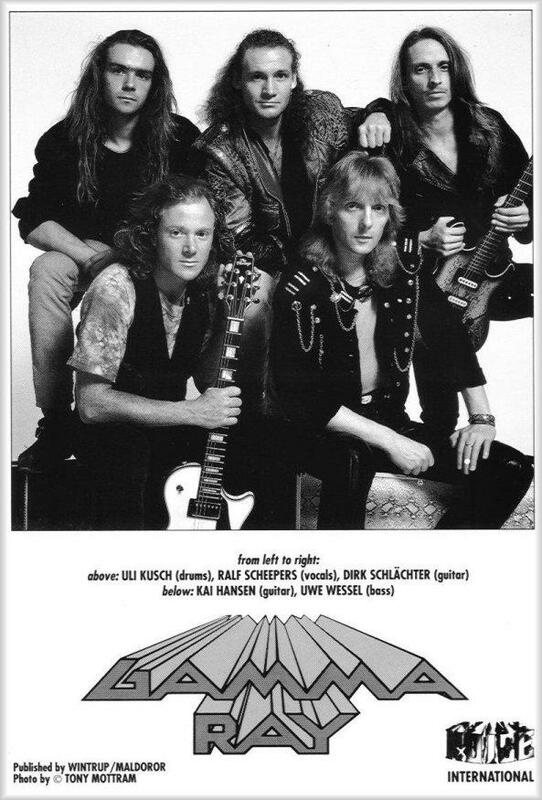 After the Japanese tour at the beginning of 1991, Gamma Ray underwent another personnel change: the rhythm section (Wessel and Kusch) left due to a personal disagreement and were replaced by Jan Rubach (bass) and Thomas Nack (drums), both from the Hamburg band Anesthesia. The band also began to build their own studio, so work on their new album didn't start until 1993. The album Insanity and Genius was released in June 1993, with a style which was closer to that of Heading for Tomorrow than Sigh No More. 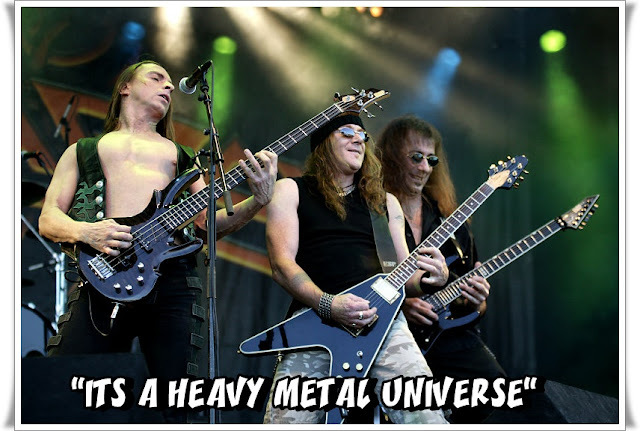 In September 1993 Gamma Ray, along with Rage, Helicon and Conception, embarked on the Melodic Metal Strikes Back tour. The tour contributed to the release of the double CD The Power of Metal, and the videos Power of Metal and Lust for Live, in December. More changes in the lineup were to follow for Gamma Ray. Vocalist Ralf Scheepers, who lived far away from the other band members hometown of Hamburg, was attempting to become the new Judas Priest singer after Rob Halford left. He felt that his position in the band had been strained due to the distance between him and the other members. Hansen and Scheepers agreed to an amicable departure. After failing to be recruited for Judas Priest, Scheepers started his own band, Primal Fear. Hansen then began to search for a new vocalist but, due to demand from friends and fans, took on the guitar-vocal duties himself as he had done for Helloween's first EP and album. In a 2008 interview, Hansen spoke about the importance of the Land of the Free album and what it represented: "We made it exactly at a time point when this kind of metal was proclaimed to be dead as can be. Where it was almost like if a drummer came up with a double bass drum people would say ‘ ya dooga daga yourself out of here man.’ Everything was ruled by Kurt Cobain and the alternative to the alternative and all that kind of stuff. So at that point we made an album like this and it went down very successful. That was cool, that was something special. I think it was the album that gave Gamma Ray the acceptance as being a band not only a Kai Hansen project." In 1995 the fourth album, Land of the Free, the first to feature Hansen on vocals, was released. The album was universally praised by critics and fans alike. The tour following the album, Men on a Tour, brought the recording and release of the live album Alive '95 in 1996.....Soon after, there was yet another major lineup change. Jan Rubach and Thomas Nack both left in order to return to Anesthesia and in came new drummer Dan Zimmermann. Zimmerman is also known for being a founding member of the German power metal band Freedom Call. Schlächter, who was originally a bass player, as can be seen on the 1990 video Heading for the East, left the second guitar spot and took back his original instrument, being replaced on guitar by Henjo Richter. Work started on the next full-length album, and 1997 saw the release of Somewhere Out in Space, which marked the beginning of the band's thematic concentration on space. The album featured the hit "Valley of the Kings" and entered in the charts of many European countries. After two years of touring came the album Power Plant, which was a continuation of Somewhere Out in Space's lyrical approach, but a new direction musically. The album was highly acclaimed throughout the world and gained even more chart success than its predecessor. For Gamma Ray's next work, Hansen decided to do things differently from the usual compilation of songs. He let the fans decide by voting on their website for their three favorite songs on each album, then the band went back to the studio to re-record the old tracks from the first three albums and made remixed versions for the songs on the later ones. Blast from the Past was the name chosen for this double album. After a break of one year, when Hansen concentrated on his side project Iron Savior, the band was ready for the recording and release of the album No World Order, which was stylistically similar to NWOBHM bands such as Iron Maiden and Judas Priest. Again, the album was highly praised and the No Order World Tour saw the band visiting dozens of European countries and Japan. After resting from the tour, the band went on with the Skeletons in the Closet tour, which saw the band performing songs that they never or rarely played live before. Once again, the setlist was voted by the fans on the band's website. Only a few shows were played on this tour but two of those were recorded for the live album Skeletons in the Closet. A live DVD, Hell Yeah - The Awesome Foursome (And The Finnish Keyboarder Who Didn't Want To Wear His Donald Duck Costume) Live in Montreal was recorded on May 6, 2006 at Le Medley in Montreal, Quebec. The setlist contained songs drawn from all of their albums up to Majestic (excluding Insanity and Genius) and also a cover of the Helloween hit "I Want Out". The DVD finally saw release on November 4, 2008. It entered the German media control charts at No. 9 and the Swedish charts at No. 1, according to the band's official website. In recent years, Gamma Ray have made use of touring keyboard players to fully augment their sound in a live environment. Axel Mackenrott of Masterplan fulfilled these duties in the past and was followed by Eero Kaukomies, a Finn who also plays in a Gamma Ray tribute band named Guardians of Mankind. His bandmate Kasperi Heikkinen also played on part of the Majestic tour in 2006 following an injury to Henjo Richter. 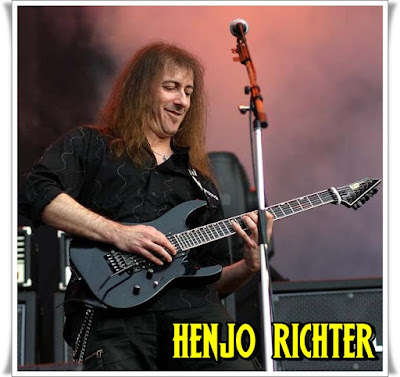 On their most recent "To The Metal" tour, Kasperi Heikkinen replaced Henjo Richter once again for shows scheduled in Germany and Czech Republic in March 2010. Richter was hospitalized on March 16, 2010 due to retinal detachment. Heikkinen also shared stage with fellow axemen Hansen and Richter making "a three guitar special" for the encore numbers at the Nosturi club in Helsinki, Finland on March 29, 2010. Land of the Free II was released in late 2007 as a sequel to the hugely successful Land of the Free album. To promote the album, Gamma Ray were the "very special guest" on Helloween's Hellish Rock 2007/2008 World Tour, on some shows along with the band Axxis. For the final encores of the evening, Kai and members of Gamma Ray joined Helloween to play a couple of songs from when Kai was in the latter band. 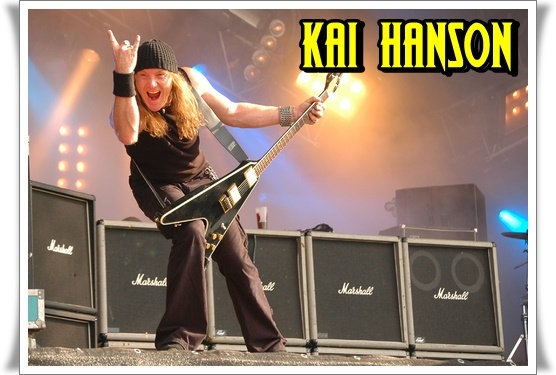 Kai would also regularly join Helloween co-founder Michael Weikath at center stage to the delight of fans of both bands. To the Metal! was released as the tenth full length studio album by the band. 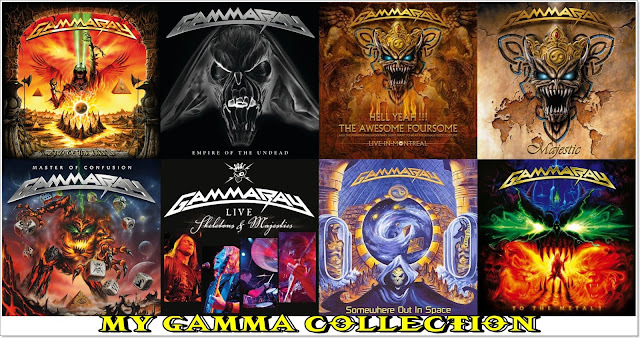 It was released on January 29, 2010 .....On May 31, 2011, Gamma Ray released an EP entitled Skeletons and Majesties. It contains newly recorded, rarely played material (Skeletons) and acoustic versions of other older songs (Majesties). 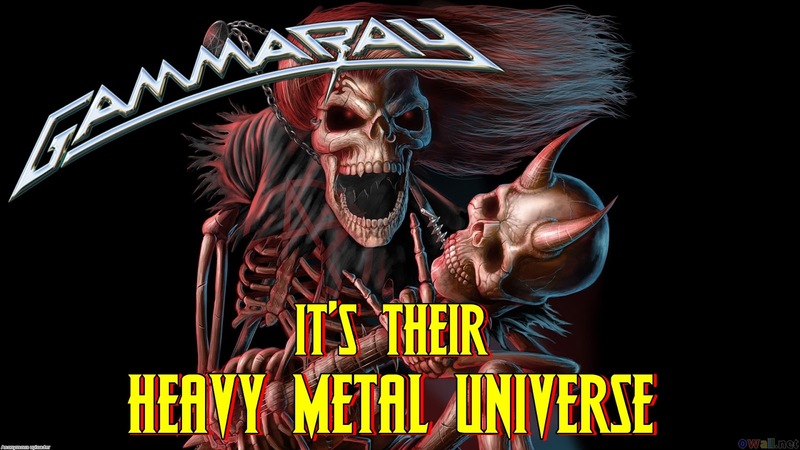 Hansen stated in an interview in February 2012 that he expected the next Gamma Ray album to be released in January 2013. 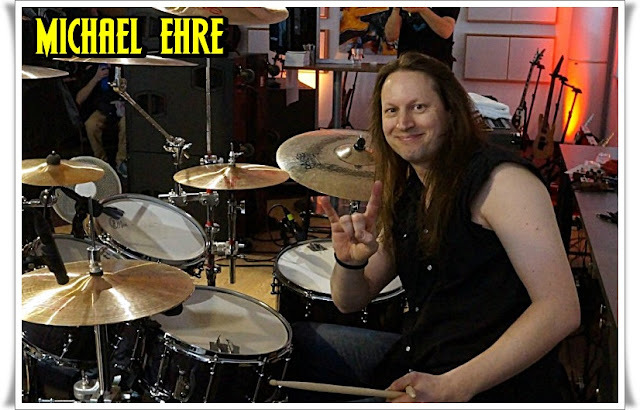 On September 1, 2012, the band announced Michael Ehré as their new drummer, replacing Daniel Zimmermann after 15 years of band activity. Kai Hansen revealed, in an interview with Metal Blast in April 2013 that their upcoming album, Empire of the Undead would have a "more thrashy" sound. In the same interview, Dirk Schlächter announced that the band would do a headlining tour following its release. Empire of the Undead was released in March of 2014, despite Gamma Ray's studio being completely destroyed by a fire. Michael Kiske - vocals on "Time to Break Free" and "Land of the Free" (1995), in "All You Need to Know" (2010). Hansi Kürsch - vocals on "Farewell" and "Land of the Free" (1995).